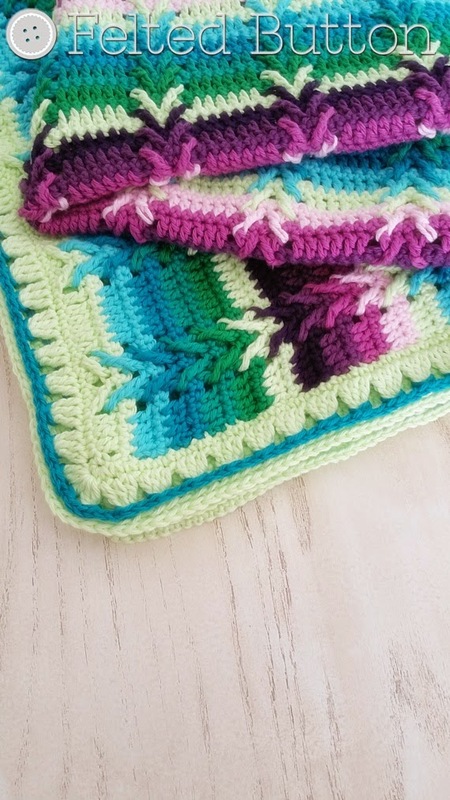 This Way to Rows of Posies: Two New Blankets! ...if you buy one, the other is 50% off. But only for the first 25 customers, so hurry. Simply put both patterns in your Ravelry cart with the coupon code BBG50 and you'll save 50% off one of them. 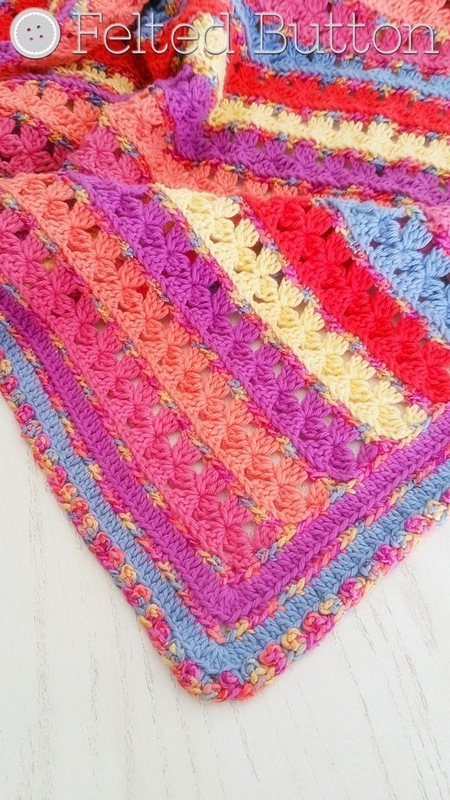 Both designs call for I Love This Cotton by Hobby Lobby which is a favorite of mine--mostly because it has some beautiful colors to choose from, is super soft, and very affordable! 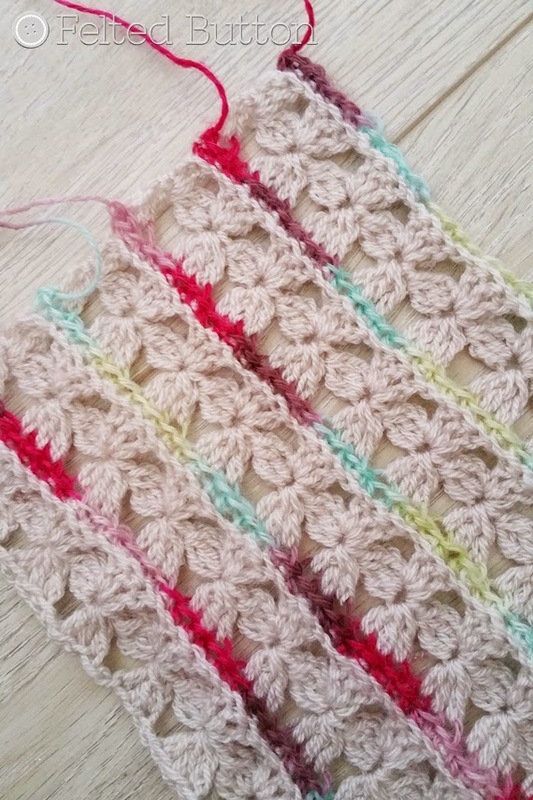 The sample Rows of Posies uses this totally terrific variegated yarn from Yarn Bee (Hobby Lobby, too) called Mimic. 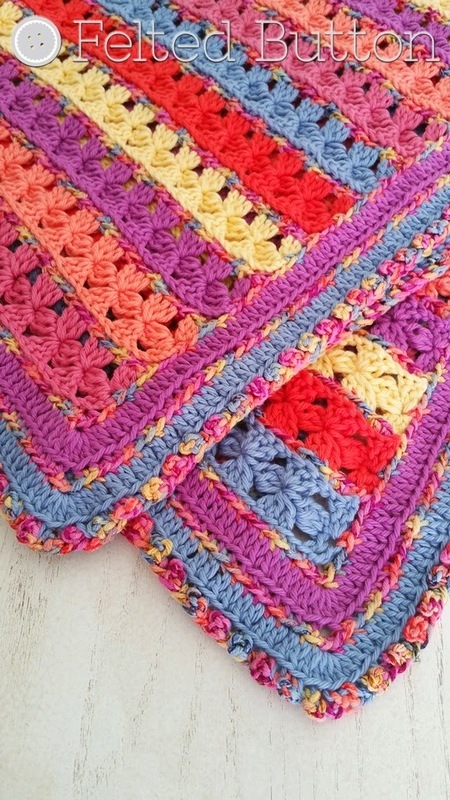 It has a little glimmery shimmery shine to it which makes the blanket look a tad fancy, but it is still washable. And although I'm not a super huge fan of short-run variegated yarns, I think this design makes fabulous use of the short color changes as the colors don't blend and "muddy". These are both written as good-sized crib blankets, but they include instructions for changing up the sizes--easy peasy. I say, bust that stash! If you want more details about the yarn, quantities, skill levels, etc, head to my Ravelry shop and read more about them. And don't forget the discount! I've got another pattern rolling off my hook--and the colors for it make me super duper happy! But color has a way of doing that. How about you? | On the Board | -- Never give up what you want most for what you want today. I'm overwhelmed with the beauty of the work. Very pretty ... both of them and great stash busters! Thank you! 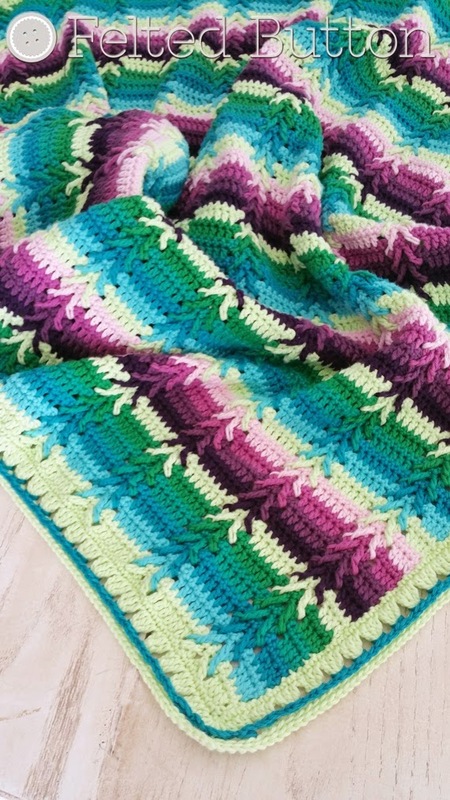 Stash busters can be the best kind of project, I think! These are both so beautiful. Thanks, Gillian! What a sweet comment! Thank you, Roberta! Your blog is lovely!